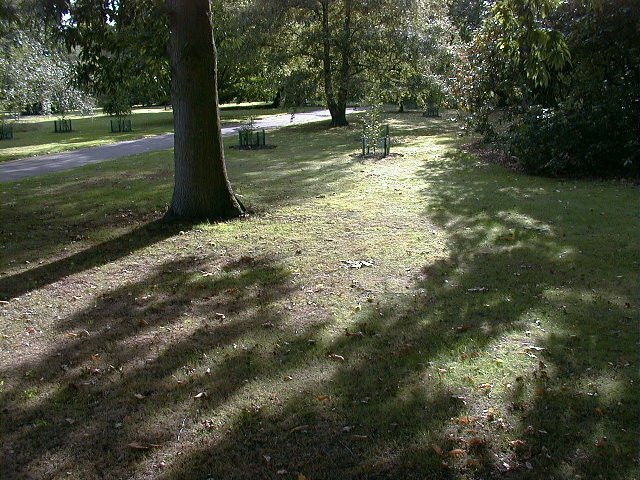 Kew Gardens, formally the Royal Botanic Gardens, Kew, is (or are) a major tourist attraction to the west of London, with trees, shrubs and plants to fascinate the knowledgable and bemuse the ignorant. 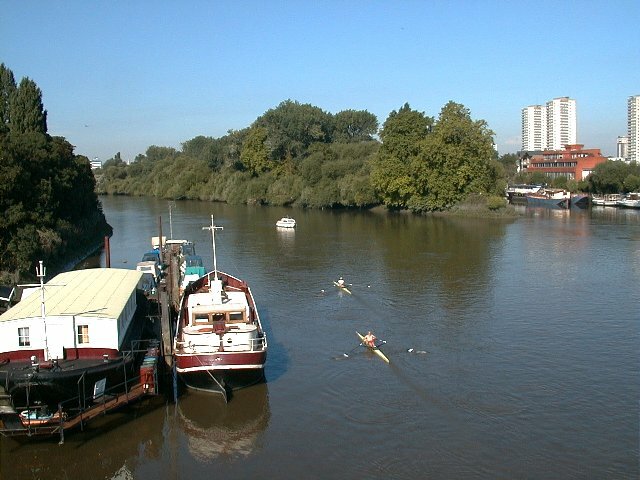 Part of it started as the garden of Kew Palace, yet another Thames-side royal pile. 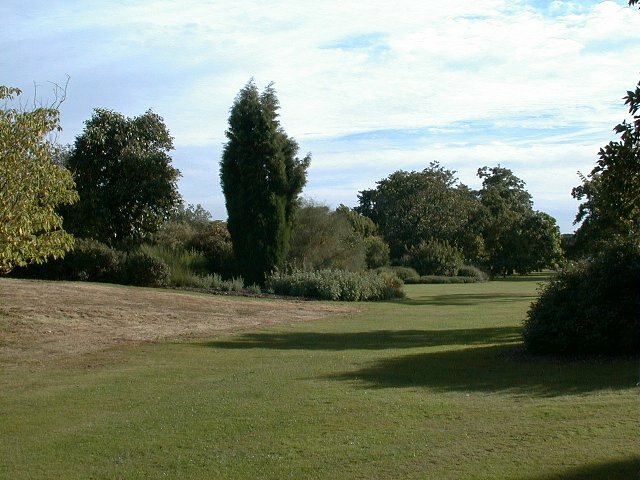 (Hampton Court palace is a cycle-ride away; the site of Richmond palace is within walking distance.) 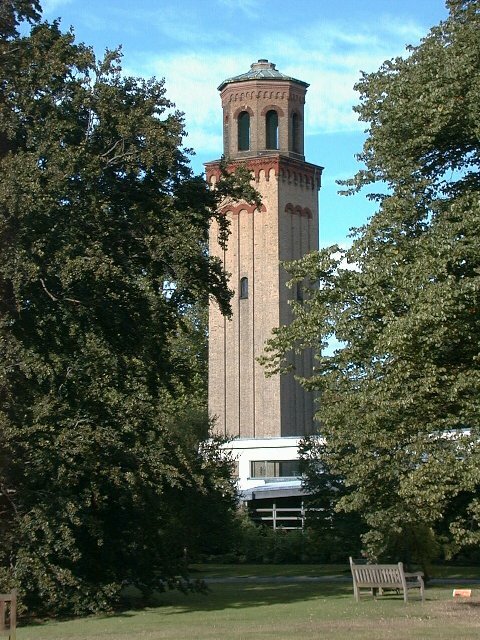 It was during this early period that Kew Gardens sprouted a variety of architecture, of which the pagoda may be the most remarkable example. 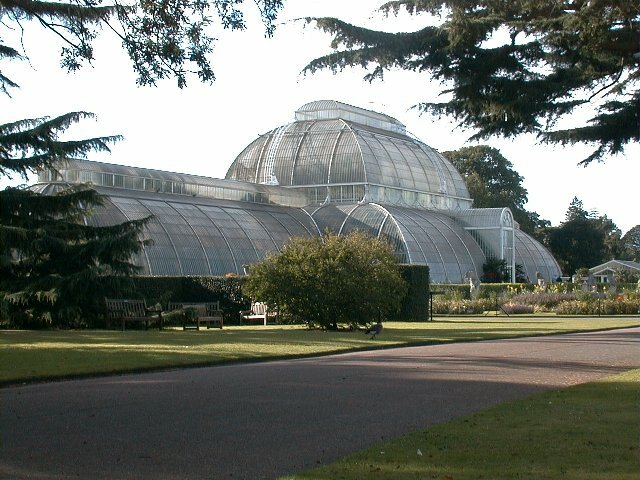 Here's the palm house, the largest greenhouse and the most striking, designed by Decimus Burton, completed in 1848, and restored in the 1950s and 1980s. There's a lot to see inside, and it's labeled so informatively that even an ignoramus like myself can understand (or delude himself that he can). If it's a sunny day in Kew Gardens but you're cold all the same, climb the stairs -- they come close to the roof -- and stand on the sunny side. 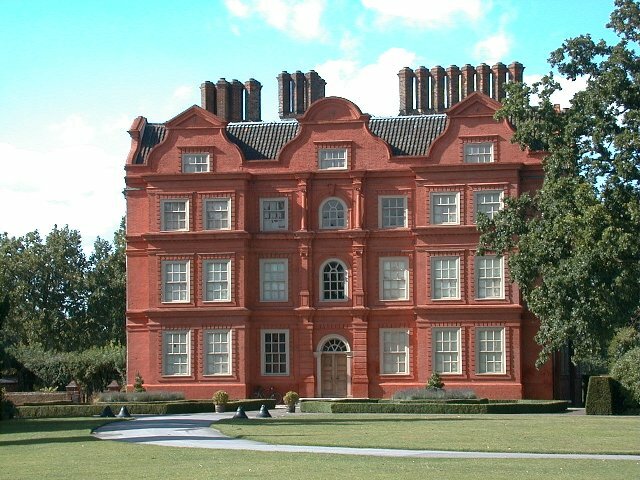 Get ready to unbutton your coat. . . .
Kew Palace, rather modest by Hanoverian standards. 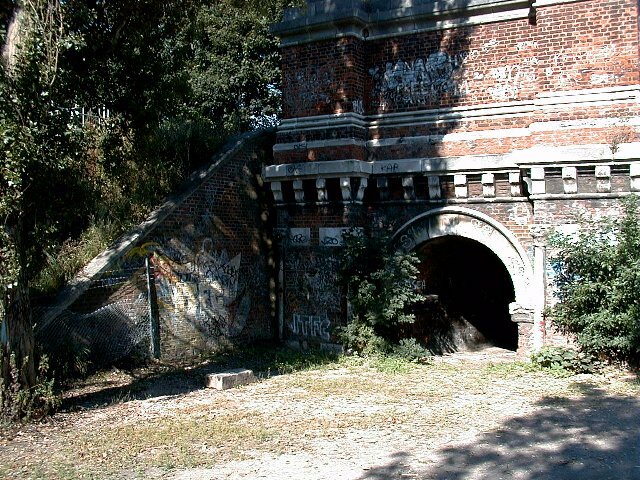 It was built in the early seventeenth century and bought by George III (the "mad" one) in 1781 as an annex to something called the White House (no longer standing). No, the camera does not lie; the building really has recently been redone in this lurid shade of red. 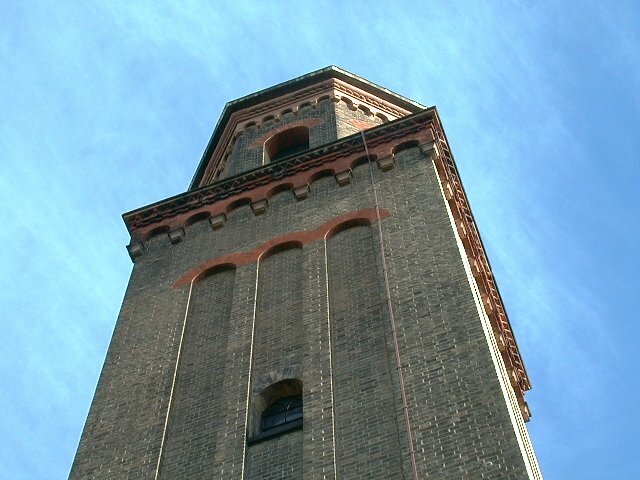 The campanile was built by Decimus Burton and built in the 1840's. 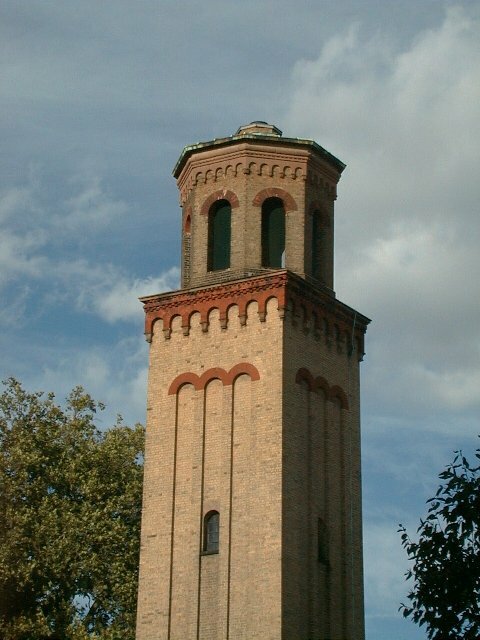 It is 32.42m (107ft) high and was originally designed as a water tower and chimney for the Palm House to which it is connected by a tunnel. 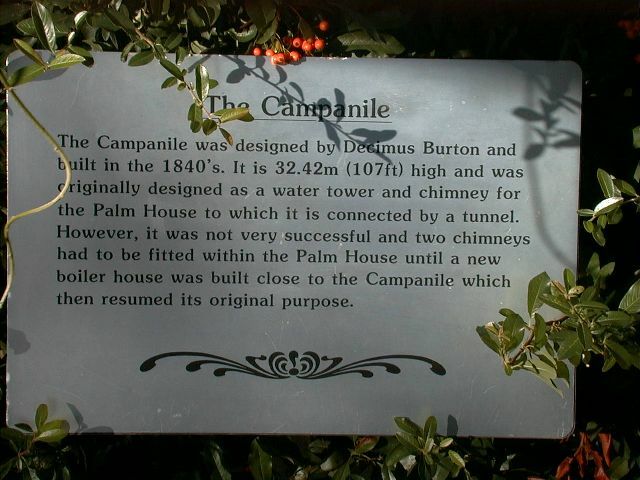 However, it was not very successful and two chimneys had to be fitted within the Palm House until a new boiler house was built close to the Campanile which then resumed its original purpose. Measured to the closest centimetre! But there's a minor mystery here, as 32.42m is closer to 106 than to 107 ft. So if you're going to Kew Gardens, be sure to pack your theodolite. 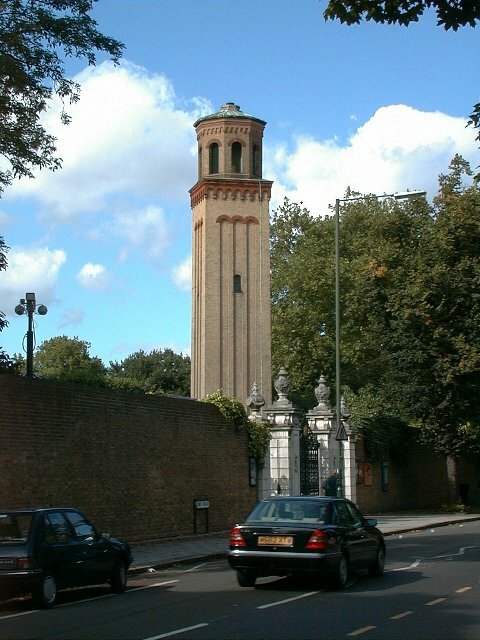 More good news for campanile buffs: Just across the Thames in Brentford, Kew Bridge Steam Museum has a taller and more showy campanile. 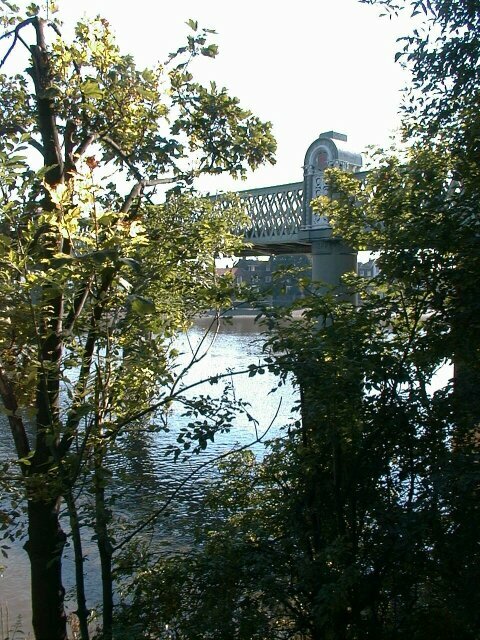 Here's something that doesn't appear in most guidebooks to Kew. 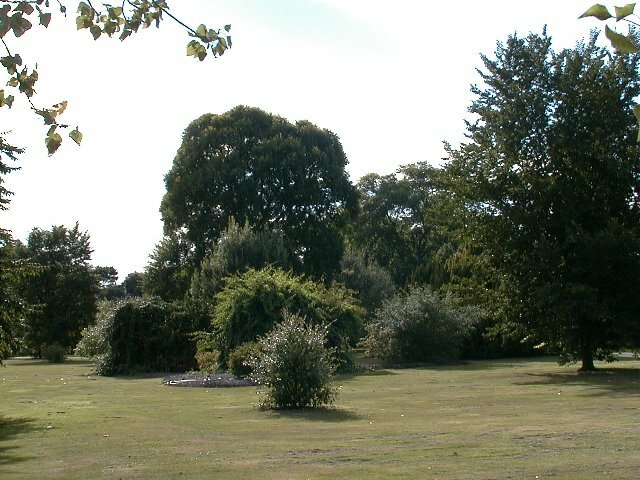 For some months in 2000, Kew Gardens hosted "Chapungu", an exhibition of works from Chapungu Sculpture Park in Zimbabwe. 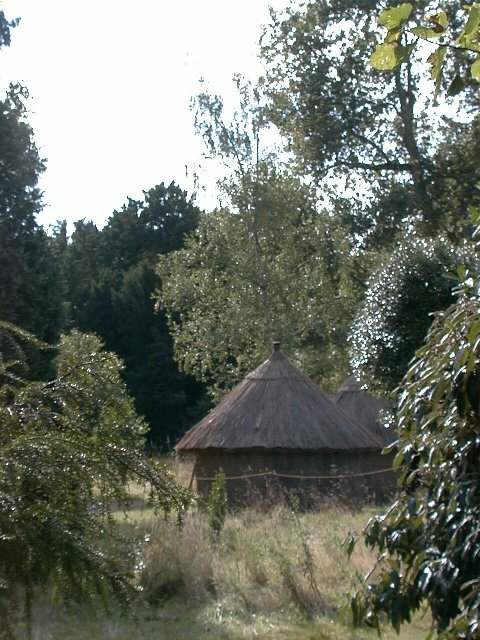 Accompanying it were various little surprises, including this Zimbabwean village (alas unpopulated). 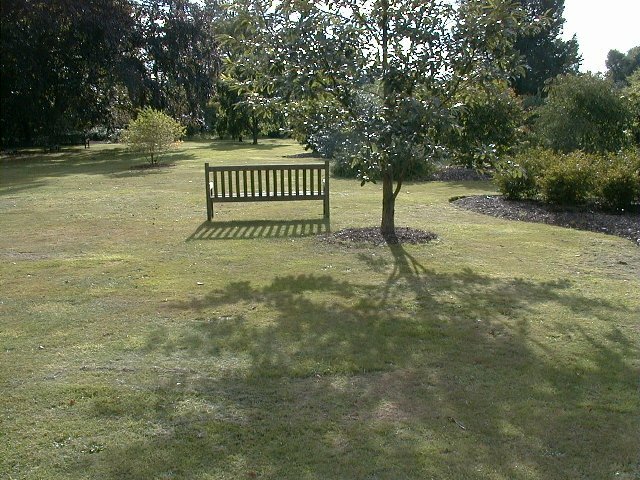 Even to me, the main appeal of Kew is not its buildings but the plants. There's a staggering quantity and variety, especially considering that this is surrounded by metropolitan suburbs. Here are some late-summer late-afternoon views. 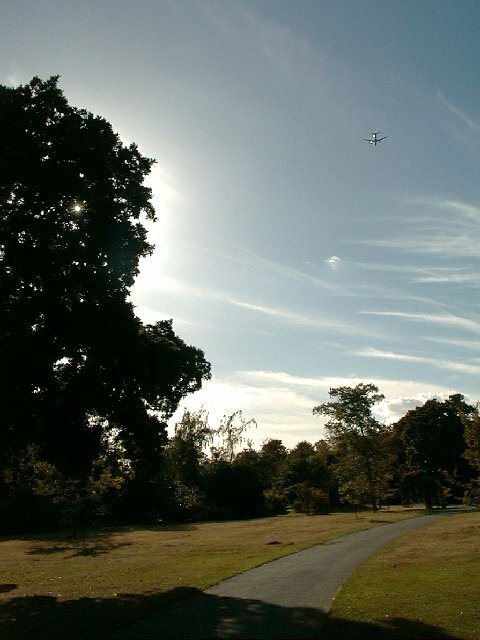 So all in all Kew Gardens is a wonderful place -- and you're only getting glimpses of it here. There's just one problem: it's close to Heathrow, and unless the wind happens to be in a certain direction, the song of birds can't compete with that of 747s. 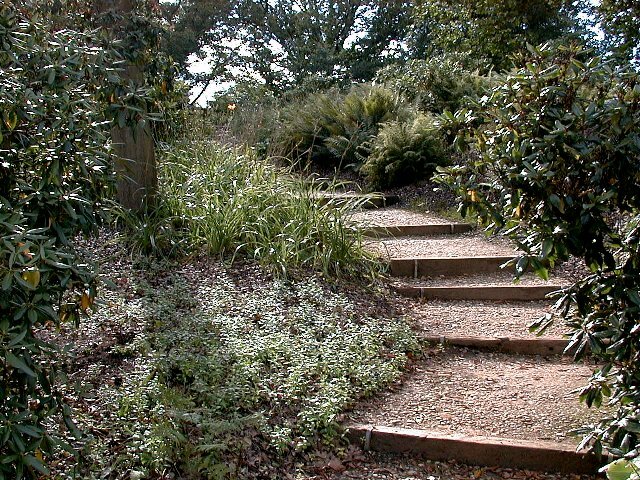 Most visitors to Kew go directly to the gardens and then head straight back. 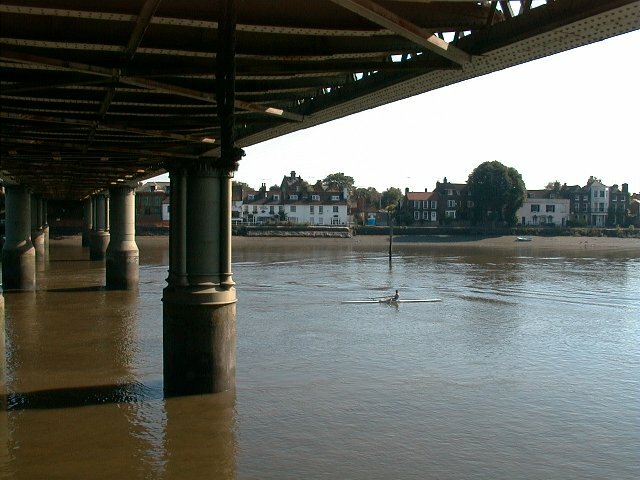 It's true that nothing else very close by is very famous, but even without crossing the river to Kew station and Kew Bridge Steam Museum, you'll find places for pleasant dawdling. 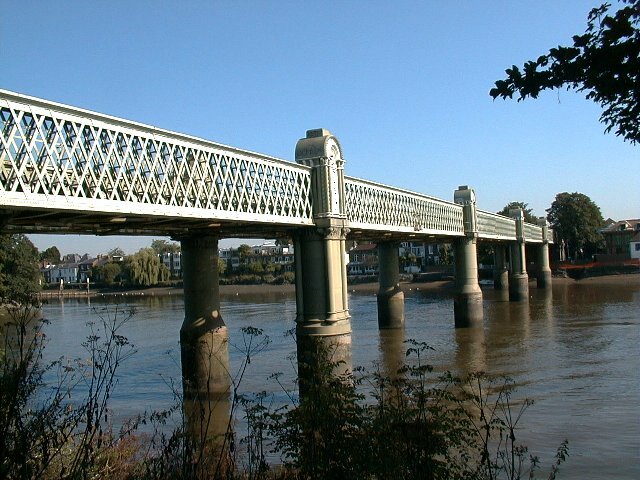 Here's Kew railway bridge. 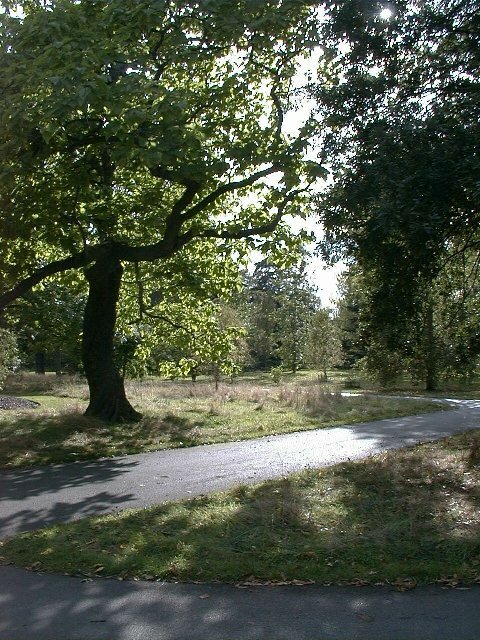 For vastly more about Kew Gardens, including information on opening times, etc., head over to the official site. Any comments? Corrections? Write to me (Peter Evans), or tell the whole world. First sellotaped together 15 October 2000.